It's really easy and simple to make a Japanese style diner. 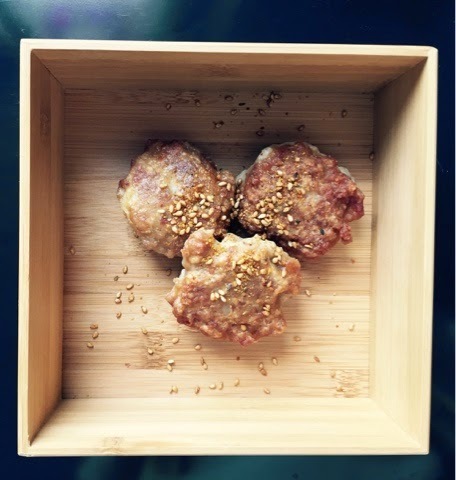 I made meat balls with porc (or veal), add ginger, soya sauce and potato starch. Mix all the ingredients, make balls and fry them. Serve them with soya sauce, and sesame seeds. Mar 10 Let's talk cooking gears!